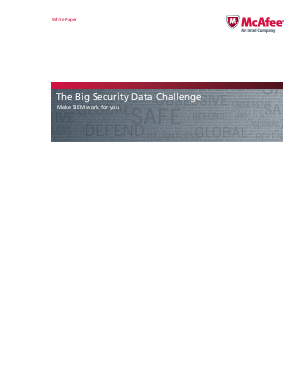 Why security data has become a Big Data problem is obvious for anyone who has tried to manage a legacy SIEM, particularly when you look at the definition of Big Data. Big Data consists of data sets that grow so large that they become awkward to work with using existing database management tools. Challenges include capture, storage, search, sharing, analytics, and visualization.